The Kampahareswarar temple at Tribhuvanam near Kumbakonam is one among the four Chola dynasty masterpieces in temple architects in India.The other three being Brihadeeswarar temple in Tanjavur, Gangaikonda Cholapuram temple in Gangaikonda Cholapuram,Airavateeswarar Temple in Darasuram all of these from 985 AD to 1218 AD. 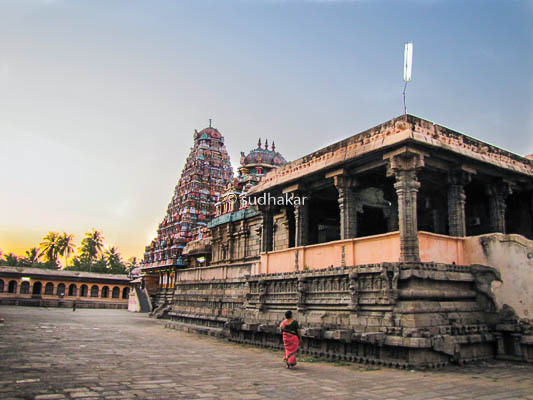 The front mandapam here is built in the form of a huge charriot as in the other three temples. The Vimanam (roof over the sanctum) here is larger than that of entrance gopuram like the other three temples. Sculptures depicting scenes from the Ramayana adorn this temple all around. 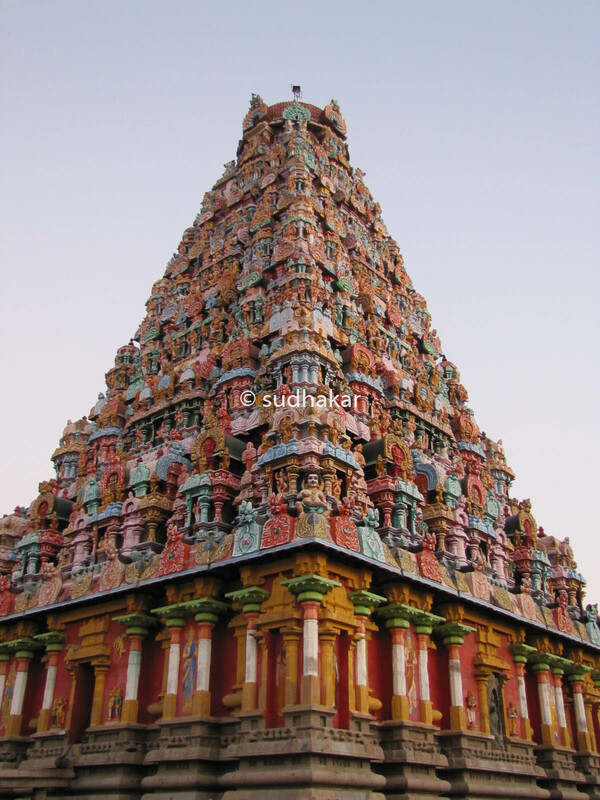 These temples are really masterpieces showing the dedication to art and architecture by the Chola Kings. As per the legend, Lord Vishnu as Narasimha, after killing Hiranya became very ferocious and his fury could not be controlled by Devas. The Devas turned to Lord Parameshwara for protection.He then appeared as a fusion of a human,eagle and lion called Sarabheswarar to subdue Narasimha. The moolavar (main deity) of the temple is Siva lingam called as Kampaheswarar. There are seperate sannidhis for ambal, Ganesa,Subramanya, Natarajar, Sarabeshwarar and Nayanmargal. The temple praharam is vast with majestic gopurams, Vimanams and beautiful sculptres all around the walls inside the praharam. Festivals Apart from the daily ritual poojas that are performed four times a day,there are weekly rituals like somavaram and sukravaram, fortnightly rituals like pradosham and monthly festivals like amavasai (new moon day), pournami (full moon day), kiruthigai and sathurthi.The most prominent festival of the temple, Thaipoosam, is celebrated for ten days during the month of Thai (mid January). How to reach?The temple is located at 35 Kms from Kumbakonam. Plenty of local buses,cabs and auto rickshaws are available from Kumbakonam. Places nearby Kumbakonam is a place with many famous temples and Oppiliappan temple, Patteeswaram Durgai, Darsuram, Thiruvalanchuzhi,Thiruvidaimaruthur, Oothukadu,Thirukarugavur,Swamimalai are very nearby. Famous for: Pilgrimage, Thirubhuvanam silk sarees with many varities named as Santhoshi silks,Samuthrik silks,Roja katam silks etc.